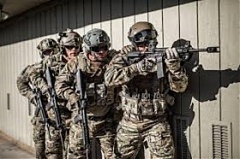 – Estonia has chosen an offer by Lewis Machine & Tool Company as the winner of the tender for a contract to supply automatic firearms to the country's defense forces and other armed structures, informed LETA/BNS. The EU Transport Council agreed on key provisions of the Mobility Package on Monday and Lithuania managed to secure a provision that empty trucks won’t have to return to their country of origin, Transport Minister Rokas Masiulis says LETA/BNS. Estonian-capital construction company Merko Statyba will build the new building of Kaunas County Chief Police Commissariat after winning the construction tender, according to the documents LETA/BNS has obtained. Lithuania last week registered the largest increase in power generation among the three Baltic countries, but its electricity market price was the highest in the region, Elektrum Lietuva said LETA/BNS on Tuesday. The Riigikogu on Tuesday rejected a draft resolution submitted by the opposition Reform Party group by which the parliament would have tasked the government with preparing plans for a transition to the provision of education in the Estonian language alone in Estonia, informed LETA/BNS. This year the Port of Riga has experienced a significant increase of timber cargo, which has become the second largest group of cargo in terms of volume. During the first ten months of this year the port has handled a total of 4.4 mln tonnes of various types of timber cargo, one third more than in the previous year, informed Port of Riga representative. In the course of the Campaign “Our Search for the Best Nurse” organised by Rietumu Charity Fund and the Diena newspaper, 20 nurses have been selected, whose dedication and outstanding work has been highly praised and recognised by patients of hospitals and their families.